If you’ve ever wanted to share the gospel with a Jehovah’s Witness, but not known where to start, then this book will give you the practical knowledge you need to come out from behind the sofa and open the door. They knock on your door, unannounced often when you’re just sitting down for your evening meal, and are keen to talk to you about the state of the world. If you choose to listen to them you will no doubt find yourself agreeing with much of what they say. But aware of this danger, and perhaps feeling ill-equipped to deal with their slippery arguments, many of us would rather hide behind the curtain and pretend we aren’t home… letting these evangelistic opportunities pass us by. 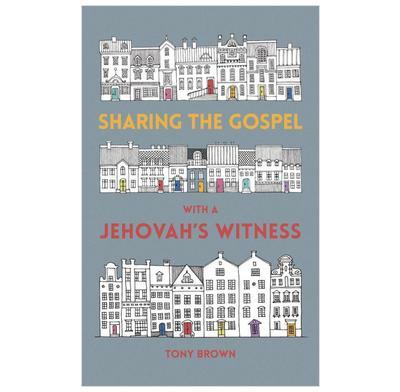 In this comprehensive guide to what you need to know about Jehovah’s Witnesses, ex-Jehovah’s Witness, Tony Brown, shares his extensive knowledge and experience of the teachings of the Watchtower Society. He explains what Jehovah’s Witnesses believe, why their message is so compelling to so many, and how their doctrines differ from those of biblical Christianity. He provides many practical tips for ways in which we can seek to share the gospel with these neighbours.